A stunning new translation of the classic tale of the fall of Troy from one of the world's finest translators. If you enjoyed THE SONG OF ACHILLES, discover the original and the best... Man seduces another's wife then kidnaps her. The husband and his brother get a gang together to steal her back and take revenge. The woman regrets being seduced and wants to escape, whilst the man's entourage resent the position they have been placed in. Yet the battle lines have been drawn and there is no going back... Not the plot of the latest Hollywood thriller, but the basis of the ILIAD - the Greek classic that details the war between the Greeks and the Trojans after the kidnapping of Helen of Sparta. Based on the recent, superb, M.L. West edition of the Greek, this ILIAD is more readable and moving than any previous version. 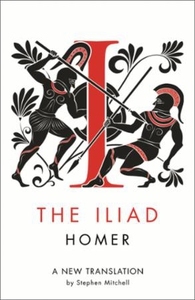 Thanks to the scholarship and poetic power of the highly acclaimed Stephen Mitchell, this new translation recreates the energy and simplicity, the speed, grace, and continual thrust and pull of the original, while the ILIAD's ancient story bursts vividly into life. This edition also includes book 10 as an appendix, making it indispensible for students and lay readers alike.